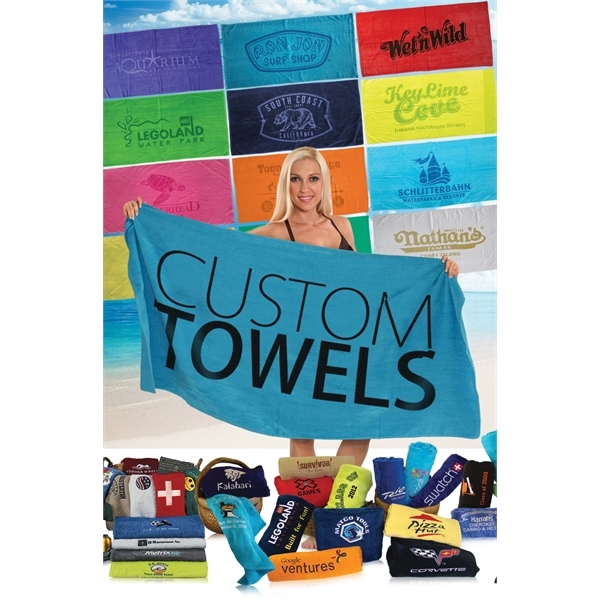 Product Name 30x60 Terry Velour Promotional Beach Towel 11 Lb per Dz. Description 30x60 Beach towel with one side velour. This is our best selling promotional beach towel , available in21 colors. This towel weighs 11.0 lbs. per dozen and has a nice dobby border finish. This is a great towel if you are buying quantities and are looking to save money. Size 30 " x 60 "
Price IncludesBlank product only. (See embroidery and printing options below).